I have wanted this caramel corn recipe for a very long time. I tasted this caramel corn for the first time about six years ago, when my brother David opened a restaurant called Ceiba, in Washington, DC. The executive pastry chef was also a David, a charming, double-dimpled guy named David Guas, and for the grand opening party, he made caramel corn. I remember very clearly standing in the dining room, just outside the kitchen, when a waiter came through the crowd with a platter covered in small white paper trays, the kind that fries come in at concession stands, or maybe it was actually white paper cones, or maybe I don’t remember that night so well at all, but the trays, or the cones, were filled with caramel corn. It was eerily light, crisp and snappy, sweet-salty, insane. It was this caramel corn. Most commercial caramel corns, or the specimens I’ve tasted, at least, don’t really taste like caramel. They only taste sweet. This one tasted like true caramel. 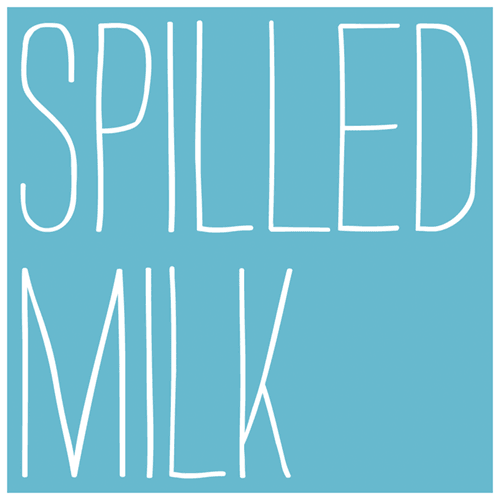 It tasted like butter and brown sugar and heat – and, crucially, a little bit of salt. It was also studded with salted peanuts. I wanted to ask if he would share the recipe, but I had only met him once or twice, and I didn’t want to seem pushy. My brother told me that they planned to serve the caramel corn as a mignardise, a little sweet something sent out with the check, so I contented myself with the thought that, whenever I ate at Ceiba, a little paper tray of it, or cone of it, would be waiting for me at the end of my meal. Of course, Ceiba is approximately 2,700 miles from where I live. In the six years since it opened, I have eaten there exactly twice. There has been very little caramel corn in my life. And David Guas, for his part, moved on a couple of years ago, starting his own consulting company and helping restaurants across the country develop dessert menus. I mourned my lost opportunity. In my next life, I vowed, I would be pushier. But as luck would have it, he has just come out with a cookbook, and in it, on page 154, is the caramel corn. Hellooooo. If you’ve been around here for any length of time, you may remember that, for four Christmases in a row now, I’ve been trying to give only homemade or handmade gifts. I make and give away tins of cookies and candies, and when I do shop, I buy mainly from artists and crafters, at places like this, or this, or this, or this, or this. It makes me feel good. I also buy books, because I can’t imagine not buying books. But mostly I bake or make candy, and what I’m trying to say is: a couple of weeks ago, I drew up a long list of items to make for this year’s tins, but I cannot bring myself to start making them, because I CANNOT STOP MAKING CARAMEL CORN. The problem is, it’s easy. And quick. You pop some popcorn, and then you put it into a bowl. You make a caramel, and you cook it to 250 degrees. You quickly dump the hot caramel over the popcorn, and then you fold it in as well as you can, and then you add salted peanuts. Then comes the clincher: you bake it for one hour in a low oven. Not all caramel corn recipes include this step, but I think it’s the deal-sealer. In the oven, the caramel, which had started to harden as you stirred it into the popcorn, gets a chance to soften again. You can now stir it into the popcorn more easily and evenly. The whole, gooey mess will crisp spectacularly as it cools, and the kitchen will smell outrageous, and then you will turn into Edward Cullen. I’m so sorry. One last thing: don’t be upset if the peanuts don’t seem to want to stay mixed in with the popcorn. Heaven is the handful of caramel-coated peanuts left in the container after the popcorn is gone. – The original version of this recipe calls for microwave popcorn. I used Newman’s Own brand microwave popcorn in the “natural” flavor. However, I don’t see any reason why you couldn’t use stovetop or air-popped popcorn, if you’d like. You’ll need 10 cups of it, and you’ll probably want to salt it lightly, since almost all microwave popcorns have at least a little bit of added salt. – Be sure to have a whisk and a rubber spatula close at hand. You’ll need them both on short notice. – Before you begin cooking the caramel, measure out the baking soda and the vanilla, and chop the peanuts. You won’t have time to do it later. – Do not try to make this recipe without a candy thermometer. – If you plan to give this popcorn as a gift, know that it looks very handsome, and keeps nicely, in a Mason jar. If using microwave popcorn, pop the popcorn according to the package instructions. Coat a large mixing bowl with nonstick cooking spray, and dump the popcorn into the bowl, taking care to pick out and discard any unpopped kernels. In a medium saucepan, whisk together the brown sugar, corn syrup, butter, salt, and 2 tablespoons of water. Bring to a simmer over medium-high heat. Continue to simmer, whisking often, until the mixture reads 250°F on a candy thermometer, about 3 to 4 minutes. Immediately remove the pan from the heat, and whisk in the baking soda and vanilla. Quickly pour the hot caramel over the popcorn. Use a rubber spatula to gently fold the caramel into the popcorn, taking care to distribute it as evenly as you can. Stir in the peanuts, and transfer the mixture to the prepared baking sheet. Bake for 1 hour, stirring and turning the popcorn with a spatula every 20 minutes. Remove from the oven, and place on a cooling rack for 20 minutes. Gently break up the popcorn, and serve. Oh wow! This looks simply amazing. Growing up my Dad would make caramel corn every Sunday night, I have fond memories of it hot, overly sweet goodness. I think I'm going to make this for him for Christmas this year, he will love it! Thank you! Oh my god yes. Amazing. And your blog dear Molly is the Bella to my Edward, or at least perhaps until I try the camel corn. If anything could unseat you and your clever posts it would be crunchy, salty, sweet nuggets of carmely popcorny goodness. I've been making almost this recipe for years – the low baking (I only do it for half an hour – I'm going to bump it up! bet it makes it crisper and darker) really does make it better. Just went through two double batches at our Christmas party – yum. This time when I made it I kept the salt out of the caramel, and then ground some overtop of the caramel corn while it was still warm, so that the salt stuck to the surface instead. Oh yes. This sounds fabulous and I will be making some soon. Is there something special about the microwave popcorn? I'll be air popping since I don't have a microwave but do have an air popper. Just wondering if I missing out on something special. This is the same recipe that I have used for years except for the peanuts, it is exact. I got the recipe out of an old community cookbook and loved it. People rave about my Carmel popcorn…..you should have just asked me for it. Nevermind that you dont know me. =]. It is yummy! this made me smile. caramel corn is such a lovely name, the way it rolls off the tongue. in the uk it would be called toffee popcorn which has none of the romantic charm of yours. also, i watched twilight for the first time last night and, yup, suddenly understand what the fuss is all about! i also had to laugh at the twilight references–you too have succumbed?! about twenty minutes after this was posted i was whipping up a batch. a perfect antidote for this cold, windy, grouchy, sunday morning! we don't have corn syrup here so i substituted wheat syrup and we have a peanut allergy in the family so i used pecans instead. was wonderful, even with the substitutions! thanks! Great to have you back Molly! Thanks friend, for sharing this perfect gift of a recipe! Can't wait to make and devour the first batch, it looks like heaven. I hope I have the willpower after that to jar it up and give it away! You are so very, very right. The baking step gives a finer, snappier coating of caramel instead of a heavy lacquer of sugar. We make our spiced caramel corn with alarming frequency. I love giving food gifts over the holidays…cookies are just not an option. This sounds perfect. Im going to make about 10 pretty jars of this popcorn and sneak them into my friends mailboxes while they are at work. Thanks for the wonderful idea.I just hope they dont complain that I skipped the caramel bark this year…. I can't wait to try this. Somewhere all the road from NY to California this summer we picked up a small bag of very expensive caramel corn. It was to die for! So I'll be searching for my candy thermometer and picking up some Newman's corn this week to give this a try. 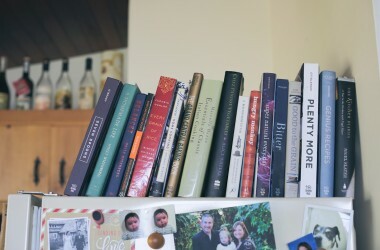 hi molly…what a great post! i am going to get damgoodsweet asap! thanks for the links to those talented people & their creations! i am going to make alot of carmel corn while i read my soon-to-be new cookbook & all your gift giving links! 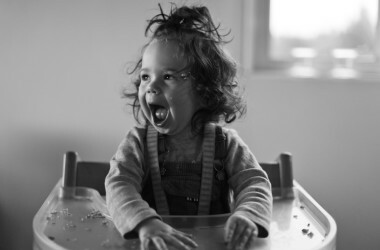 i would also like to say that “i made that!” is a great blog (having found it when you announced brandi's delancey arrival) & i am certain she is doing extremely well. all the best now & in 2010! Yeah, although most concession stands at the cinemas do NOT make good popcorns (as we call them), they're still THE ideal snack to go along with a good (or bad) movie. Agree that most caramel corn taste sweet and nothing else. Molly, This is almost identical to the stuff my plain Mennonite (no longer living) Grandma used to make for Christmas gifts and for the trick-or-treaters at Halloween. And you are right—it is wonderful. One year my husband and I bought the big tins of commercial popcorn (you know, one section cheese, one caramel, one plain), dumped out the contents, and filled them with the homemade caramel popcorn as Christmas gifts. It was quite the sweet undertaking! yum! the only thing is that i, um, sort of have a caramel corn, kettle korn. so while you're in twilight, i'm in 9 1/2 weeks: i'm kim and the corn is mickey. oy. oh how exciting! Caramel corn is my favorite guilty snack (I'm more likely to stash it in my glove compartment than have it in the cupboard for all to see). I can't WAIT to make this! I love your blog and thought your book was wonderful!! please keep it coming! Molly this recipe is amazing– I love caramel corn! I discovered your blog just before you guys started Delancey and it became like my morning cup of coffee so really great to see you writing more now. It's always comforting to know there are other people out there as obsessed with food as I am 🙂 Ever thought of starting a Delancey in London??? “Keeps nicely…store up to 5 days…” seriously, how could you type that with a straight face? Sounds wonderful. We have a holiday party each christmas eve and my tradition is to make at least one of your recipes each year. Last year it was your pickled grapes and chocolate wedding cake and also your danish butter cookies. This year, it's definitely the chocolate cake again (AMAZING) but this is high on the list of possibilities too. I don't have a microwave, but I figure I can just pop about 10 cups of popcorn and use that. It is so nice to have you back! This looks awesome and Paul Newman's popcorn is going on my grocery shopping list this week! I love this recipe–after years of searching for a caramel corn recipe that would work, I found one similar to the one you posted in David Letterman's mom's cookbook. My favorite tip for making caramel corn comes from Martha Stewart and that is to put the bowl of popped corn in the warm oven while making the caramel and then the caramel spreads over the popped corn more easily. Hearing you describe this caramel corn made me think of a recipe my mom used to make. And sure enough, it is exactly the same – stir in the soda and vanilla after you pull the sugars off the stove, and bake the whole thing for an hour. Ever since I've been on my own, I've felt incapable of making it, though, because she used her roaster to bake it in the oven and I don't have one. However, if a cookie sheet works, we're in business! Thank you! Wow – I can't wait to try this! I too have been craving the “right” caramel corn for a very long time. Thank you! Question: I'd prefer to put my air popper to use. Do you know what the conversion would be? I am dying to try this; just trying to decide on the correct wine pairing. I am thinking riesling and caramel corn could be a nice way to spend an evening. looks delicious! does it have to be microwave popcorn for any reason? i don't own a microwave and usually make popcorn on the stovetop. Oh, YESSSS! This sounds like the perfect thing for a chilly night. Thanks for posting it! I make a very similar caramel corn recipe (that I also gave as Christmas gifts this year). Delicious! 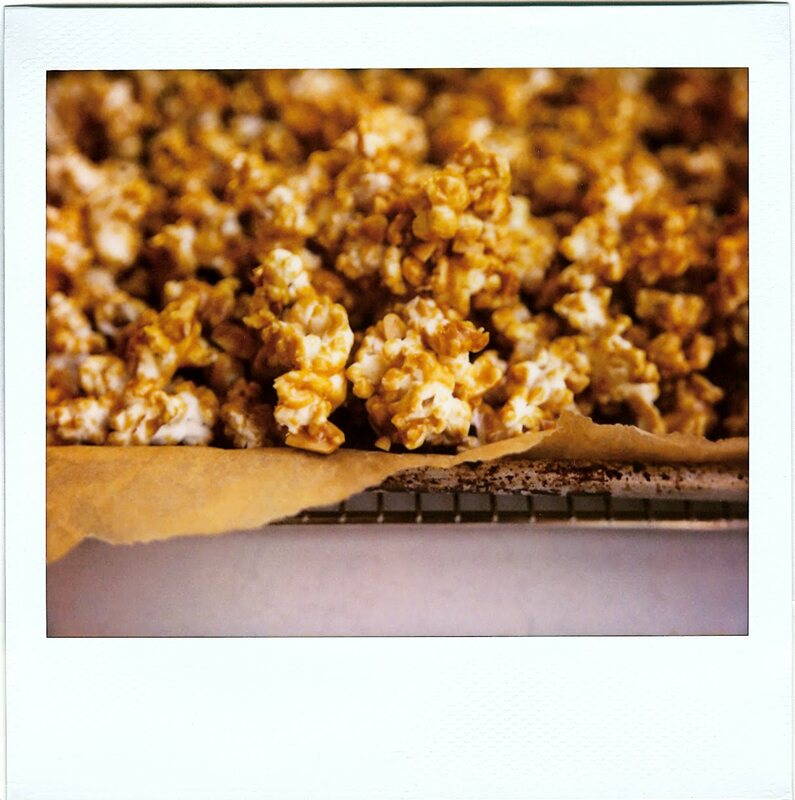 One more tip – you can mix the popcorn and caramel in a brown paper (shopping) bag before pouring onto a baking sheet. oh i am so glad you're back here. and i can not wait! to make this popcorn! I don't even own a tove – I live vicariously through you and others and let the professionals do the cooking – but this dish may change my mind. Man. It sounds and looks fabulous! You've hit all the main points for me today. Umm, that would be stove. See? I even have trouble spelling it. My mom is obsessed with caramel corn on the same level of teenage girls (and grown women) loving Edward Cullen/R-Patz. I can't wait to stick a jar of this stuff in her stocking this year! SO excited to make this for Christmas gifts! i'm having a homemade holiday too! oooooh, sounds delicious. and dangerous. salty caramel, oh yes. is it silly to ask, you can make it just using regular popping corn though yeah? i don't have a microwave. or a sugar thermometer. i will rectify the thermometer situation asap. What a great idea for Christmas gifts! I'm doing my homemade chocolate truffles this year and, so far, they have been a big hit. I admit that I have never liked caramel corn, mostly for the same reasons you describe here. But I actually know a number of pop-corn nuts. So I will give this recipe a whirl on their behalf, and based upon your review… I might actually taste as I go. Why is all the packaged stuff so gross anyway? I've been making caramel corn for Christmas gifts for the past three years, and I only still do it because people BEG me for it. Specially, my FIL, to whom I gave a comically large container full of the stuff last year, and it was gone within days. Definitely gift-worthy. Do you have a recommendation on the type of salt? This looks amazing! This sounds like a tasty, TASTY recipe, and I can't wait to try it! I have a question, though: will it work just as well with air-popped or pot-popped popcorn? I've long ago given up on microwave popcorn because of a serious aversion to the flavor of ersatz-butter. Popcorn is popcorn, right? At least as far as this recipe goes…..? Molly, how much popcorn is that, popped? We don't have a microwave, so I'd be popping stovetop. I *so* want to taste this! What about using stove-top popcorn? I am seriously icked out by microwave popcorn. Your t-shirt and member welcome packet is in the mail. i love your twilight and rpattz reference. that makes you a more-often-read for me. i also adore caramel popcorn, it's the only popcorn i can dig into. and when my braces come on on wednesday i will make this and not share it. unless it's with rpattz. I thought I had the cookie tin situation all figured out. And now this! Love the idea of putting it in jars. Could you estimate how many cups of popcorn you ended up with? Isn't it like 10 or so usually? Thinking of maybe making a bigger batch and popping the corn in a dutch oven. Thanks! Oh, yum! I usually prefer homemade kettle corn for my sweet-salty popcorn fix, but this sounds good. I've never thought to put caramel corn in the oven, but it makes perfect sense! My friends will thank you for posting this recipe. yummmmm this looks amazing!! i cant wait to make this when i get home for christmas. i was sort of sad to see it only lasted 5 days but i have the feeling that will be MORE then enough time for such a tasty snack. Oh, torture! I have braces for one more month! I have grand plans for a caramel corn, caramel apple, and flossing party, though, so this recipe is just in time. How long do you think this process would take, beginning to end, for someone who has never made caramel before? Fab, I just got this cookbook as a birthday present! Lucky are the ducks who get xmas presents from you, my dear. OOH! homemade Cracker Jacks…My downfall.You could even add a little prize. 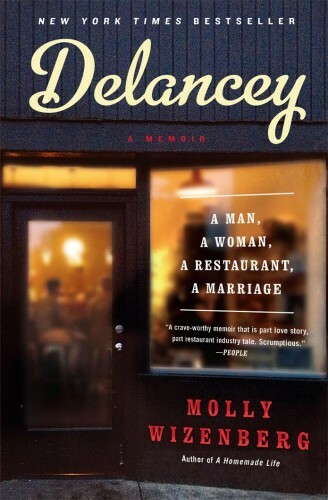 This is what we were waiting for Molly..great writing, and great recipes..now, please,no more light fixtures, O.K? I love Caramel Corn and don't have a good recipe. Can't wait to give this a try. Thanks for the post. The only caramel corn I liked was one we made as kids and I think it came from an old Betty Crocker cookbook. I love the sound of the right amount of salty because caramel corn needs salt. I'll definitely try this out for gifts and for nights when I'm collapsed on the couch. I made this first thing this morning. It is INSANELY delicious. I made mine with almonds (peanut allergy). one of my favorite things is to sneak a greasy paper bag of freshly made caramel corn into a movie. can't wait to try this recipe! thanks molly! oh yes – Twilight and Caramel Corn? Yum! I found almost this exact recipe on another food blog a few weeks ago and have been unable to stop making it. It's so addictive! And what makes it even better is that you can make the caramel in the microwave, which makes it even faster and you don't have to bother with candy thermometers. I've made it at least 6 or 8 times and it's been perfect every time. You just microwave the sugar, corn syrup and butter for 30 seconds and stir well. Then put it back in for 2 minutes. It will be bubbling when you take it out, so quickly and carefully stir in the baking soda and vanilla. Then pour it over the popcorn and bake, like you said. My love for popcorn is similar to the love in Twilight! After my daughter was born I was so tired all I could manage to read was the Twilight books series. Perfect escape reading. Then came the Robert. Perfect Eye Candy. Then came this caramel corn. Perfect Gift or Snack to munch on while watching Robert on DVR (yes, I'll admit, I do that). I am a strictly homemade gift person too – this year is apricot jam and peppermint bark. ooooh, I've been in a caramel corn sort of mood too. You just can't stop with one bite! oh man. i'm so making this tomorrow. i thought my obsession was shortbread. i've officially moved on…. I'm evangelical about do-it-yourself microwave popcorn a la Alton Brown. Put 1/4 – 1/3 cup popcorn in a brown paper lunch bag, fold the top over twice, and close with two (no more, no less) staples. It cooks in a little over two minutes in my microwave. I usually swirl it in a bowl with some olive oil and garlic Tabasco and sprinkle with yeast flakes, but caramel may be in order. We can always count on you to deliver what we all need just when we need it. Thank you for this recipe! I'm so going for it – except I think I will try replacing the corn syrup with honey or maple syrup! Yummm I heart Carmel Corn. To those who wonder about using air-popped or stovetop popcorn: yes, no problem! You don't have to use microwave popcorn. I'm guessing that the recipe was written to use microwave popcorn because that's what a lot of people consider the most convenient, but if you want to make your own, do it! You'll need to make 10 cups, and you should probably salt it lightly before using it in the recipe, since most microwave popcorns (or, at least, the brand I used) are lightly salted. Katie, I used regular table salt. You could try using a fancier type, but I think the flavor might get lost here. Blue Satin Sashes, it's a pretty quick process. Allow 5 or 10 minutes to measure everything out and pop the corn, and then making the caramel itself is quick – maybe 5 minutes? Then you'll take a few minutes to stir it into the popcorn, and then it bakes for 1 hour. So, less than an hour and a half in all, and a lot of that is just oven time, when you don't have to do anything. Ohhhh my goodness – new to reading your blog, but saw this post and knew I had to make this popcorn TONIGHT. My batch is in the oven now but the nibbles I've been taking are simply OUT OF THIS WORLD!!!!! Thank you so much for sharing – I know now why you can't make anything else! I didn't realize your brother cooked at Ceiba. Loved that restaurant when I lived in DC. I'm so excited to have the recipe for this! My grandmother used to make this exact caramel corn recipe at Christmas every year. She called it cracker jack and used Spanish peanuts – it was fabulous! Spanish peanuts were all she could find in Iowa in the 1920's and they worked. Thanks for the recipe and bringing back the memories! I was wanting to make some of these yesterday too! I just didn't have a good recipe for it. Now I do. Thanks! Sweet mother of god…I can't wait to sit around eating this in my pj's on Xmas Eve! Thanks for sharing! Wow just tried this recipe and even though I'm not a big fan of caramel this stuff is so moreish. Thanks for the recipe. This one's a keeper. We make caramel corn every year at Christmastime and I'm so happy to see how many people also love this tradition!!! Thanks Molly! Oh my goodness…Since reading your book and seeing your blog I can't stop making things that you post! I have made peppermint bark already and plan to make the caramel corn to give out as gifts as well. I think you have to stop posting such wonderful things until after the holidays…I will be giving out tons of food and won't leave the kitchen!! Thank you for the creative and amazing holiday gift ideas! I just made caramel corn this weekend. I too make it all Christmas season. The recipe I use is from an Amish and Mennonite cookbook that I have had since I was in grade school. The only major difference is the addition of peanuts. I will have to give that a try! Yum yum. I have also been making this for years, without a thermometer–just boil the caramel for two minutes exactly. (And using regular popcorn popped in the microwave in a paper bag.) I may try adding the salt, though; it sounds good. I've also seen a recipe recently for a version with chocolate, which I intend to try. Oh, and I have a huge metal salad bowl that just fits in my oven if I move the racks around, and it's easier to stir it in that while it's baking. Sautee the garlice, onions and squash in the oil until soft. Add the tomato, basil, oregano, salt, and pepper and simmer 5 mins. Then add in the spinach, rice, 2/3 of the cheese, and the tofu. Bake on 350 for 30 mins. Then top with the rest of the cheese. Enjoy. Thanks so much for sharing! I've never atempted caramel corn before (just kettle corn – heh, the healthier cousin), but this looks fantastic! Hi Molly, it sounds so good. Haven't had caramel corn in a long time. Mmmmm! A glorious dish! This combo is mouthwatering!Thanks for your talent. Now you've gone and done it! I'm not such a caramel popcorn fan but you went and compared this one to Edward Cullen. The movies, the writing in the books and Bella make me cringe but if there's anything I thank Stephanie Meyer for, it is putting the wonderful Edward Cullen to paper, thereby allowing gorgeous Robert Pattinson to play Edward. I now have to try this recipe. Humans do not have the will to resist. Two more things about your lovely (as always) post…I'm surprised more batters for Team Jacob aren't blasting down the ramparts. Also, extra kudos for introducing the wonder of cooking to slews of teenage girls. Because you know this post is going to show up on their Twi-dar! Can't wait to try this! And I loved the Twilight references since I am in the middle of the third book of the series! I completely agree with everything you have just written including, not in ranking order! I tried my first popcorn recipe from 101 cookbooks, the other week, it is a show stopper too!! And takes like 10 mins and then cooling time on baking trays… if you can wait! It is so yummy and next time i will be adding peanuts to it, and trying this recipe! 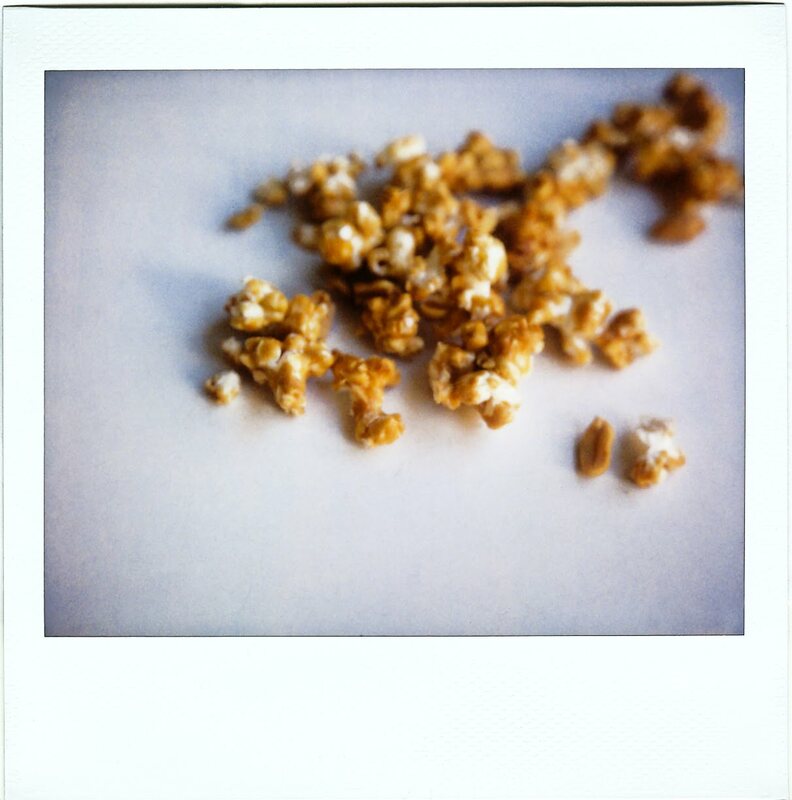 I heart this caramel corn already, because of the photos, and you. You! You're back to writing. Thank god. Now, I never ever expected to see a Twilight reference from you. That might make me see the silly thing at some point. I made this today and it was very good. But next time I am going to use sliced almonds. The chopped peanuts wouldn't stick and I didn't care for the flavor they gave the popcorn. Thanks for the recipe. I'll be making it again. Oh, nice. A review copy of Dam Good Sweet just arrived, and now your bit of backstory to it makes me want to move it up the pile :). Glad to have met you the other night! I hear, hear the popcorn in a brown lunch bag. I eat popcorn regularly for dinner (I know…), so I feel my opinion is that of an expert. But dang, caramel corn is good. 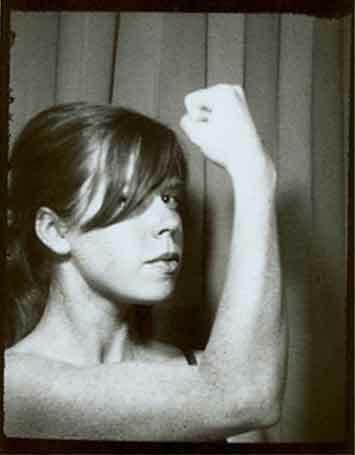 I could read your blog “for ever and ever,” Molly! My mom loves caramel corn…and I can't wait to surprise her with this recipe at Christmas. I was inspired to hear that you are making all handmade gifts this year (and have in years past), because I'm doing the same thing. It's so much more gratifying to give something you've put your heart and soul into, isn't it? I had the worst of all Monday mornings (including sick pets, early conference calls and crap lousy weather), but your post made it all better. You're back, Molly! How I missed your humor and adorable writing style over these past few months. That caramel corn looks awesome. Wow! As soon as I saw the pic, before I even read the post, I thought, here's something to make for Christmas. Thanks! Well, thanks for now – as I probably won't be thanking you after I gain ten pounds from eating this. Glad to see you are back. So glad you're back. Recipe sounds gorgeous. I had my first ever Molly recipe moments this weekend, making scottish scones. We put strawberries (frozen) and orange zest in them. Delicious! And easy. Thank you! I adore your writing. I think what grabs me most is the addition of salted peanuts to get that sweet/salty taste I love so much!!! Hi Molly, I have a question. In my experience, sugar isn't caramelized at 250 degrees. Usually, I need to take the sugar above 300 when I'm making caramel corn. Since the oven temp is only 250, I don't imagine that the caramelization is going after it has been applied to the popcorn, so – ? I'm stumped. Does your caramel really taste like caramel once it has reached 250 degrees? At that temperature I would have nothing more than a simmering pot of barely blond sugar syrup. I just finished making a batch, and I don't think it's going to make it off the cookie sheet. Amazing! One thing: I started the caramel as the popcorn was popping — and burned the popcorn. So I had to start a new bag, and rushed to get the caramel on the popcorn … and forgot to pick out the unpopped kernels. Microwave popcorn has a LOT of unpopped kernels. So, people, be sure you have your popcorn popped and de-kerneled beforehand. 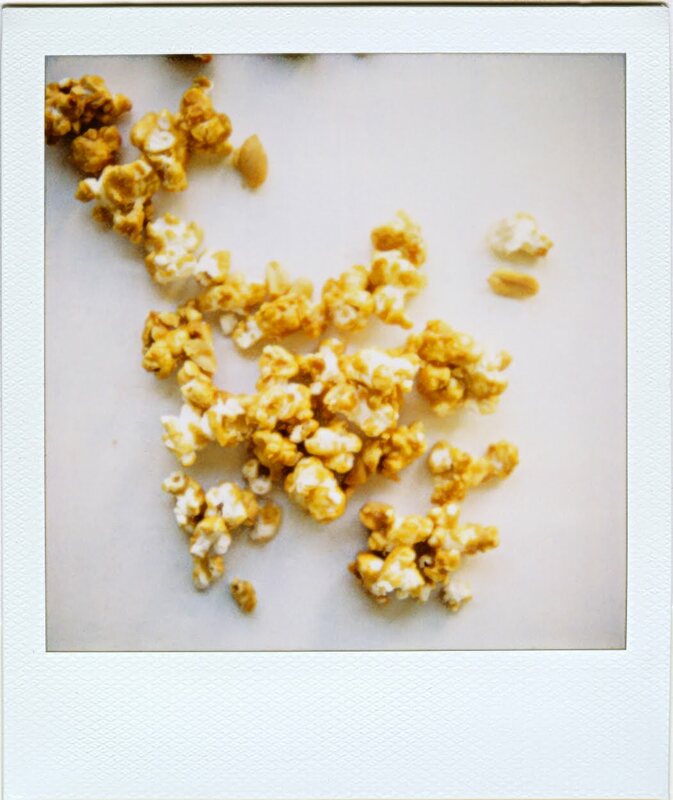 always so good to find a posting from you when i turn on my computer….thanks for the yummy recipe, i've used peanuts in caramel corn before, but never with a rough chop…can't wait to make some tonight. thanks also for the gifting idea…..merry christmas to you and yours! Molly's back!! What a fun find to be able to 'see' you again this morning, and could you have chosen a better recipe to share? I think not! Caramel corn was on my list of things to make, but I didn't have a winner of a recipe, so THANK YOU! I know this is going to be fab! (And thank you to the David who included it in his recent cookbook!) Yes, and the paper cones sound like just the way to present this yummy-ness. Oh, also, just thought I'd share that Whirly-pop stove-top popcorn poppers are the best! All kernels get popped, and using bulk popping corn is less expensive when you're making a lot. after i read this post, i hustled over to whole foods after work, bought some popcorn and made this. it is AMAZING. totally edward-and-bella-esque. and i don't even like twilight. i have yet to see New Moon, i rarely get to the movies but i'm with you on the Edward thing! the caramel corn looks wonderful, i'm off to buy what i need today. i too love a homemade/handmade gift and have a bunch of homemade things lined up to give! have a wonderful Christmas! Yeah! You're back and I'm very glad! A bummer they did not serve this when you had your book reading at ceiba (that was my only time I went) Although you did serve pink cookies and aunt bill's candy so I that placates me somewhat! I can completly support your assertion taht candy thermometers are crucial. I tried making it with just a meat thermometer (please don't laugh) and that resulted in a black nasty mess. I ended up taking your homemade philosophy to heart and have made over a dozen batches of the leite chocolate chip (with hawaiian pink salt! Omgsogood) peanut butter cookies, my godmother's raspberry bars and your chocolate rads for some lucky friends family, classmates and college professors. I've worked through a 16 pack of costco butter and about 5 pounds of sugar. Whew! Ahhh, You're back. This makes me very, very happy!! I'm going to make caramel corn this weekend for sure. we tried your recipe last night and it is truly delish! next time i would leave out the peanuts (not a big fan of them to begin with) but otherwise – wonderful. So glad you are back in the writing saddle, and with treats too! Ten jars sit packed with your most delicious recipe. Thanks for the tips too, brilliant! HELP, I CAN'T STOP MAKING CARAMEL CORN. Thank you so much for posting this recipe! I grew my own popcorn in my garden this year. I know it's silly, but it feels really special, so we've only been eating it with fancy butter and salt, but this recipe sounds deserving of our homegrown popcorn! This is something new for me! Thanks for sharing! This is for my DVD marathons every weekend. I am going to make a lot! As you can see from all these comments: We are soooo glad to have you back!! You are a gifted writer and I am so sure that you have made the right decision. Oh… and I totally dig Robert Pattison too (Helloooooo!!! )Not that much into popcorn though…its more of a US thing, I think (me: based in UK, but with german roots). Love your book!!! I made the caramel popcorn last night…it is so light and delicious AND it makes the whole house smell sweet 🙂 You rock…keep 'em coming! I am VERY excited to try this recipe! My husband and I consider ourselves to be popcorn connoisseurs. Our favourite recipe when we're feeling that sweet and salty craving is for Chef Michael Smith's Butterscotch Popcorn…delicious! Molly, I'm so glad you're back. My daily/weekly blog reading feels more complete now; fleshy again. I'm very happy for the restaurant too. I look forward to popping in sometime should I travel up northwest again. I made it last night-sans the peanuts, but OH so good. Making it again next week for gifts and with nuts!! Ha–I think your notes should include to have all the jars lined up and ready to go when the popcorn cools, otherwise it will have been eaten before it can be packaged. I think there is about a cup left of ours in the cookie sheet sitting on the stovetop. Rats–guess we'll have to make another batch! 🙂 I never would have made caramel popcorn without this recipe (and the Robert Pattinson references), thanks so much! This looks great Molly – I can't wait to try it out! I too try to keep my Christmas gifts homemade (with the exception of books and movies). I feel like homemade/handmade gifts are so much more personal, plus they're easier on the pocketbook! This looks like the perfect movie snack food … while watching Twilight AND New Moon…. For laughs, when Eclipse comes out I think I'll make some of this to sneak into the movie theater for my girlfriends and I. Thanks, Molly! YUM! This is turning out so good–some of it didn't make it into the oven! It is snowing in Paris. My daughter has invited ( girls home…Your Popcorn !!!!!! Thanks for the recipe and inspiration…I started my blog yesterday…I love the way you write ! If making big batches to be used for gifts, why not pop the corn in a covered pan on the stovetop? Save a lot of $$$ and could not be easier. Stove, pan, oil (not olive), popcorn, lid, med. high heat – nothing to it. Also, popcorn can be popped in the microwave in a brown paper lunch-size bag. with or without oil. just cover the bottom end of the bag with a layer of popcorn, add a little oil (if you desire), fold down top an inch or two, lay bag on its side on a microwavable plate and microwave for about 2 min or so. Basic, basic food. I have been needing a caramel corn recipe. Now I'm sure I have the best one I can find anywhere. Ooh la la this sounds yummy! I think my 3 daughters will enjoy it as much as I will!! ☺ Thank you for sharing it and for menioning your brothers restaurant. I clicked on the link and bookmarked it. We live in Va and although we do not get into the city as much as we would like this is on my list to do. The menu sounds incredible. Molly – Just wanted to say thank you, happy holidays & The Hubster got me your book for Christmas. Smart men get rewarded! Just found your blog yesterday, and absolutely love it! I made the caramel corn last night and it is INSANELY delicious! It's what I munched on for breakfast this morning — maybe not the healthiest breakfast, but it certainly was yummy. Looks like I'll be making another batch tonight so I have enough to take to the Boat Parade! I made this tonight and we scarfed 2/3 in one sitting! so good. Oh lordy. This looks so good, it's all I can do to not chew on my monitor. Must make some STAT! Have a baby shower this weekend, this would make cute little favors. Or maybe I'll just eat it all myself and give those broads some rubber ducks! I like the idea of the sweet and the salty flavours; I don't know if I could eat it constantly, however. That would be more of an American thing. I also add 1/2 t of almond extract to my caramel. Gives it just a little something extra. The twilight references cracked me up! I absolutely love caramel corn, this looks amazing! It's a big hit. Thanks for the tip! Early this fall, my daughter was craving caramel corn, so we browsed a bunch of recipes, chose one, made a big-o batch, and then proceeded to make ourselves sick eating every last kernel. Like a bad drunk, we promised never to do that again. Way too sticky sweet. But then you posted this recipe, and I had to try … Needless to say, I owe you a big thanks Molly. You've turned us back on to caramel corn. This recipe is fantastic! All my relatives and friends are getting this for Christmas. Thanks! this is the answer to my quest on what to give to my family and friends this christmas… i just have to buy my candy thermometer… thanks for posting! Molly I loved your article in this month's Bon Appetit. Friends send us a Smithfield ham every year for Christmas and I can't wait to make the sweet potato biscuits to serve with the ham. Merry Christmas! I just made a triple batch of this heavenly goodness for a Christmas party. Would it be wrong of me to cancel the party and eat it all myself? Perfection!!! What a recipe. It reminds me of my childhood-days full of Cracker Jacks with a prize to boot after devouring the caramel popcorn and peanuts. I'm going to share my childhood by making a few batches of these with my family during Christmas. I made it today–perfect. Gave it to some friends as a Christmas gift and they ate it immediately. Way to go! I've made this twice now. Both times the caramel got too dark and the bottom blackened, despite frequent turning. I'm going to have to cut the oven time in half. Anyone else have this experience? I devoured your book last week while taking a class on traditional Mexican cooking in Puebla. Thank you so much! lesbo-kitchen, I promise, the caramel does taste like caramel! And you really do only have to take it to 250 degrees. It'll be roughly the color of peanut butter, and then baking darkens it a little bit more. Linda, that's so frustrating! I'm not sure exactly what to tell you, but is there any chance that your oven could be running hot? I keep a thermometer in mine, and it's been running pretty accurate lately, and I haven't had my caramel come even close to burning. You have a very clean looking blog! love how it is setup! i'm not a HUGE caramel corn fan either, but you've convinced me to give it a try with this one. I made this over the weekend to bring to a Secret Santa party. Put it all in a big transparent jar with a pop corn bowl attached. It was a BIG success. And Molly I know you said not to try the recipe without a candy thermometer but I was desperate and found that it worked out anyway. I timed my caramel as per you indications (3-4 minutes). It was really delicious and SO easy. Definitely a keeper. uh-oh. nathan is going to freak out. yesterday I tried to post a comment but it must have gone wrong…oh well, I shall try again. Also having sussed you out for an expert in jam matters I was trying to elicit some advice about what to do with the peel of oranges when making marmalade. I think I am very much inclined to follow your recipe for Italian jam as it sounds just right, but what do you think about the peel? I know this a bit off the caramel corn topic, but feeling that we have some affinity in terms of sweet tart flavours I had a feeling you might have a hint for me. Dear Molly, One of my husband's favorite things is Carmel Popcorn. I am going to make this for him on Christmas Day. Thank you so much! Molly, I read about your last year in the Chronicle and made a note to contact you when the lemons in my orchard were ready. I have 40 organic Meyer Lemon trees and ship lemons all over the US. I would love to send you a sample! Please send me an email at karenmorss@gmail.com with your mailing address. Happy Holidays! Claire, Nathan would really freak out if he knew that there was a little bit of caramel corn in a container on my kitchen counter the whole time you were here! Eeee. Come back soon. Pola, don't worry: your first comment did come through! It's just that it was on a different post, not this one. You can see my reply over here (scroll down). I've never made marmalade, so sadly, I don't know how to help. So sorry! Thanks for posting this recipe, I was intrigued, tried it last night, and today, and will again tonight and more tomorrow. It's terrific and I'm giving it away for Christmas, yay! I posted a link to you on my blog, http://blog.ducksinaroworganizing.net/, along with a little note about how everyone should buy your book. Congratulations, Molly. I am in London visiting my daughter, Molly, and you are listed in the “Independent” as one of the 50 Best of 2009. The title of the article is The 50 Best of 50 Best. Every Saturday, the Independent's experts bring you the finest fashion, homewares, gadgets and outings in the original smart shopping list. Here are their favourites from 2009… You are there! How exciting! Oh boy am I sorry I read this post! I followed your directions–except I used pecans instead of peanuts–and ended up with a celestial golden cloud of crunchy, buttery goodness. Took some to the office and it practically evaporated! Will make more for holiday gifts. And try to stop eating so much of it! Thanks, Molly and Happy Holidays to all. My friends thank you for this recipe. I made a double batch on Sunday morning for a party I was attending that afternoon. I had to put the bowl in the trunk of the car to keep from finishing it before I left! Fantastic, and definitely a keeper of a recipe. oh, dear molly, you've changed my plans for tomorrow. THIS will be first thing to happen, possibly BEFORE breakfast, bc i just can't wait any longer. THANK YOU! and homemade? yes, to that, too. i love making gifts. *that* is the meaning of christmas, for me. giving love. I am watching Twilight and making this caramel corn. Is that perfect or what? I made this recipe last night, it was so fun to see how the baking soda totally changed the make-up of the caramel. We ate half of the caramel corn alongside grilled turkey dogs. Thanks for the recipe! Looks fabulous. Will definitely try! And the Twilight references…so funny! Your photos are interesting and unique – did you actually take them with a Polaroid and scanned them in? Or did you photoshop it to look like that? The caramel popcorn is a great snack to have! Thanks for the recipe. Thanks, Molly, very much for your answer, and “oh well”. I will just have to experiment and hopefully, along with the other hints I have gathered from your post about jam, and the comments too, I will have some yummy marmalade to share around. I never liked marmalade till that one time I made it myself, oh so long ago. If it comes out well I will let you know about the peel. I noticed in reading your previous blog posts you like your clafoutis, this is somewhat of an obsession with me. I will keep watching out for anything else you care to post on this topic. i've tried and failed with caramel corn so many times, but you've inspired me to try again. maybe it was the twilight references. probably…the thought of edward cullen makes me oddly hungry! I just got home from lunch at Ceiba (probably my favorite restaurant in DC) and had trouble sharing the caramel corn with the rest of the table. It is SO good. Made 3 batches last night for gifts. I stopped an bought more popcorn on my way home tonight. For me. SO damn good. Hi add a super fine minced jalapeno. No seeds. It gives it a tiny little kick. Thanks, Food Addicts! Yes, those are actual Polaroids that I scanned in. I use a Minolta Instant Pro (with Polaroid Spectra film) and a Polaroid SX-70 (with Polaroid 600 film). It is I, Linda of the blackened caramel bottom (oh dear. that sounds awful. ), writing to report that it was, indeed, a bit of oven temp trouble which has now been corrected. Since said correction I have made THREE entirely successful double batches of this heaven for gifts and a fourth is just now out of the obedient oven and waiting for tomorrow night's board game party. Thanks again for the recipe and for all you do on this blog, Molly! Incidentally, I made this with Earth Balance for some vegan friends and it worked out perfectly. Another non-vegan friend actually preferred it to the regular version. This is probably the best gift I could possibly get for Christmas. Thank you for posting it! Wow. Definitely the best caramel corn I have ever tasted in my life. Thank you. Fantastic! Wondering why the words “cracker jack” didn't make it in your description. I still can't believe how great this is – after eating way too much of it – just to taste, of course. Made it. Shared it. Loved it. Thank you. Delicious and super-easy! Even the non-caramel corn fans loved it! Thanks! I had to make this the same day I read it, even though it was Christmas and we had guests over for breakfast and dinner! One day later and I'm making my second batch. No one has been able to resist it! I'll be making this for some time. At Niagara Popcorn we “chocolatize” our popcorn, and make fun and delicious LolliPOPS! out of them. Our popcorn cakes are fun too. But sure, that caramel flavor is delicious! This caramel corn is simply amazing! I made it to put in a gift basket for my parents had to stop myself from eating it all. Absolutely delicious! Thank you. Looks delicious and you always come up with the cutest and ingenious ideas and wish you a happy new year.. Thank you so much. The caramel corn is fantastic. I would prepare this for breakfast on family members' birthdays. Hope it would serve great to my family. Yep. So making this for New Year's Eve. The question remains, though: Do I have to marry the carmel corn before I can consume it voraciously wilst on an island in the middle of nowhere? 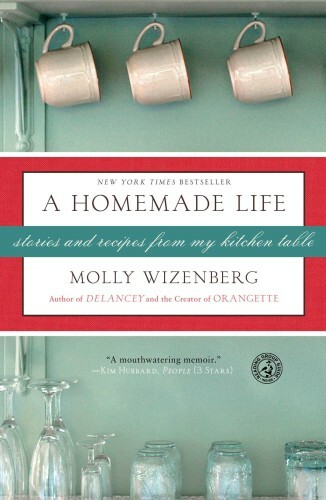 Molly, all of your posts captivate me, make me smile or chuckle but most of all inspire me to try the recipes. Much like the peppermint bark of last Christmas, this post stuck in my mind. Why? I kept wondering, I don't really enjoy caramel corn. But the buttery, brown sugar crispness played over and over in my head. I have to try it. My son will love it at the very least. I bought unbuttered corn, I chopped the peanuts, the thermometer went into the sugar. Out of the oven emerged the best snack I have had in…well… maybe ever. My eyes rolled back in my head with delight. It was Christmas movie night and each time past the stove, I would grab another handful. My husband finally told me to stop snacking on the popcorn. “Shut up ! ” was my swift reply, but he saw that the movie snack supply was in severe danger. Thank you for the glorious recipe. I will be making it often. Unbelievably delicious! I made it to give to friends, but now I am in danger of wolfing it all down! This recipe is amazing! I made it a few weeks ago–it was a HUGE hit! I even went to Ceiba on Tuesday night and mine was as good as theirs!! 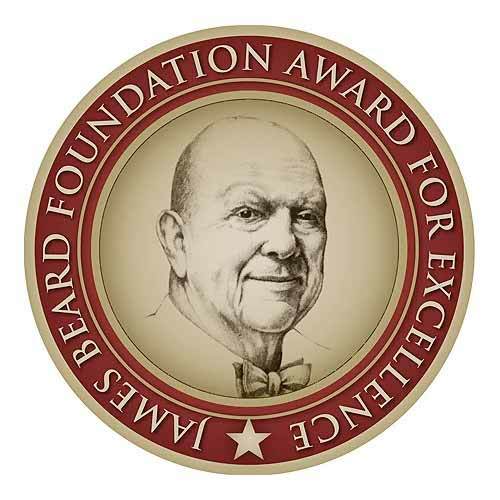 Can't wait to get back to Seattle to try your restaurant! FYI…I made your delightful recipe with Jiffy pop..you know the one with the tin foil that gets really big and fun on the stove? The best part was that it was the perfect amount of popcorn…about 11cups, just enough for my three year old to eat a bunch while making it. We were all so surprised by what became the science experiment of adding in the baking soda..wow! Lots of fun and a yummy new tradition around here. Thanks for sharing…Happy New Year! Having just moved to the DC area, I will have to try out Ceiba! I grew up eating giant bowls of Mom's homemade caramel corn so your entire post struck a chord with me. Finally getting your hands on a fantastic recipe feels like winning the lottery. I may try this recipe, but a refined-sugar-free version….yes, it's possible! I will try it with honey as the sweetener, although I know there is no real replacement for the flavor of brown sugar…. We had a last-minute change of venue to our house for New Year's Eve and I made a batch of this simply because I like caramel corn (and because I had all the ingredients already). I started the second batch as soon as I tasted a bite of the first as it slid into the oven. I am now on batch four, the last two of which I've barely shared with my husband. He tells me that I have a serious problem – and I'll admit that he's right, particularly if you sub a bit of coffee for the water. made without candy thom. worked! I made this over the holidays to give as gifts and everyone loved it! I used completely plain popping corn which resulted in the need for some extra salt. NYE I finally had a chance to make this recipe. It was divine. Peanut brittle meets caramel corn, genius. Each time I had to stir it in the oven I was tempted, but did not singe my fingers or mouth to eat it. We waited the allotted 20 minutes for cooling and then devoured it. Thank you for sharing a most sweet treat, it made our ringing in of 2010 delicious. Second time I made this, I doubled it but forgot to double the butter, and it came out fine. I also added a healthy dash of cinnamon, and it was killer! First time I did a double batch as well, in the microwave (almost harder b/c if you let it go too long it can pour all over your microwave). Made one batch regular, and the other I threw coconut and almonds in with the popcorn, poured the caramel over, then tossed it. Also, I baked it in roasting pans every time — easier to stir. But, use your imagination, and your pantry contents, to change up the flavors! The cinnamon was my fav. I like how it gets stuck to your teeth and you can taste all the little bits for a while after. I'm just sayin'… it's the snack that keeps on giving. Well this was the hit of my Christmas gifts. This is an excellent recipe. Thank you for sharing it with us! Happy New Year. caramel corn is part of my childhood…. On a snowy Midwestern day when I was about five years old, my mother and I were running errands and I was getting increasingly cranky.. she said that if I was patient, a treat would come my way. I stopped squirming. She steered the car into the parking lot of a local sweet shop, and said “Stay here” and bought a bag of fresh hot caramel corn. I sat in the back seat salivating. I was eager to dive in, but she said, “Not yet!” instructing me to close the wax paper bag tightly so the heat wouldn’t escape. When we arrived home a few minutes later, I ran into the house. “Wait!” she said. “There’s only one rule. You can’t use your hands to eat it.” We carefully peeled back the steaming bag and there on the kitchen table, with our heads down, like two pigs at a trough, we snarfed the warm delicious treat. We giggled and smacked our lips, laughing at each other while kernels stuck to our cheeks and noses. It was pure sugary magic. truly delish. it looks like something great for gift giving. 5 batches and counting, thanks! I am a UC Berkeley student and I was sitting outside of Gregoire, the French takeout restaurant on Shattuck ave. today and I saw you and your husband walking by! I wanted to jump up and say something, but missed my chance. I am a big fan of your blog and loved your book, so seeing you was very exciting. Just wanted to let you know! I'm confused about the temperature of the sugar. When you cook sugar, it goes through different stages based on its temperature, and 250 degrees is the hard crack stage – it isn't even near the caramel stage, which is around 350 degrees. At 250 degrees, the sugar is still clear. I'm going to make this and check it out. It sounds good. we made this before xmas and it was a HUGE hit. very easy to do, and super scrumptious!! thanks, molly. Another rainy afternoon in Southern California = a perfect time to try out this recipe with the three-year-old. A huge success! I used 1/2 C. of corn kernels and it made almost exactly ten cups. Replaced corn syrup with Lyle's Golden. Dropped the candy thermometer entirely into the caramel, at which point the three-year-old said, “Are you supposed to do that? !” Um, no. But in spite of never really getting a final reading, somehow the caramel turned out perfectly. Three-year-old and I fought over “cleaning” the pot with a silicone spatula. We are in LOVE, my husband especially. Thank you! wow.wow.wow.made this for a movie with friends, absolutly scrumptious. My friend asked me, “where did you buy it?”. Thank you soooooooooo much, i agree with Lottie, it made me smile too. wow. I just made a batch, and my house smells amazing. I'm pretty sure I”ll have to hide it from myself so I won't eat it all! I hate using corn syrup, so haven't made any nut brittle for a long while. Anyone know of a good replacements? I am struggling. 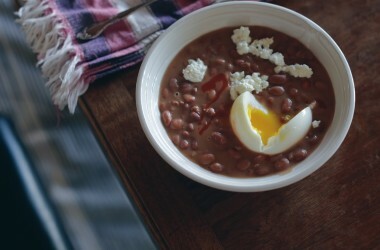 I want to make this tonight, but I keep telling myself not to do it. Self, don't do it. Maybe I can hold out till tomorrow. Yeah right. Hi Molly! I really love your blog and have read for quite a while, although this is probably the first time I've posted. This is the same recipe my mom and I have been making for about 20 years, and it.is.awesome. For a fancy shmancy twist I like using raw almonds, which I get fresh from Chico, CA 'cause I'm from there. The raw almonds toast up a bit while baking and are really lovely. This stuff really is addictive! Ceiba has some of the best appetizers I've ever had. The duck-stuffed chile relleno, the duck empanadas, the crab and shrimp nachos…oh my. What good cooking genes you kids inherited. Yum! I am actively, practically weekly, wooing people with this, as I was wooed by your photos with crinkly burned parchment paper. Thank you. Loving the corn myself — just curious though, can anyone tell me what the baking soda does in this recipe exactly? The mystery continues….thanks much! I just tried this recipe and have already made it twice in one week! It's absolutely incredible and the only way I can describe it is that it's like crack! My fiance and I can not stop eating it! I used your tip and put it in a mason jar with a little bow to give for a couple of gifts, so adorable, thank you! Just bought your book and am a 1/4 of the way through, loving it. I too was born afraid, my brother hates banana's and loves banana bread and I can't wait to try that recipe with the ginger and chocolate! Tried this recipe and so far I've made it 4 times! I used two bags of OR Natural and it seemed to be the perfect amount. Thanks!! Oh this is soooo yummy. Just made it to serve at our first garden party of the year. It went down a treat with the kids AND the grownups. Perfect party food – thank you! I've made four different batches of caramel corn in the past 18 hours from four different recipes including this one. This was the winner. I've made this 3 or 4 times. It is amazing. You definitely don't want to leave out the oven step. It deepens the flavor tremendously. I brought it to a Super Bowl party last Sunday night. A couple guys parked themselves in from of the bowl and kept saying, “This stuff is addicting.” Today I made it without the peanuts and to my tastes, I like it better that way. My 17-yr-old daughter suggested that next time we use pretzels for a little saltiness and MnM's. I don't know if the chocolate will withstand the baking, but I'm willing to try. This is what I'm giving for Christmas next year. I agree, all I ever want to do is eat this popcorn. I'm going about my day and I get a craving to eat caramel corn. Thanks for this recipe! My sister and I have made it many times. It's so easy and so delicious! Have been lately hankering for a good batch of caramel corn. 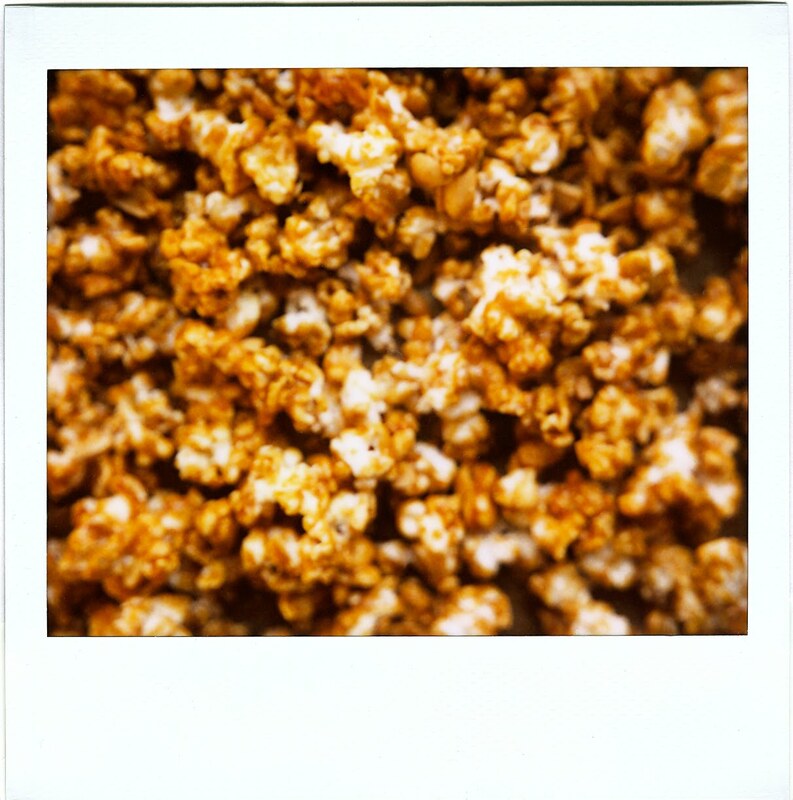 Wish I had stumbled onto your recipe when you first posted it – I wouldn't have missed two years of caramel corn heaven! Just found your site through Foodily due to a Google news article. Glad I did. I'll be a regular from now on. Just wanted to say that this has been my go-to recipe for a while now. After trying several different recipes, this is my favourite! No one could ever regret trying this 🙂 I've made two batches for gifts this year and we've enjoyed a few errant handfuls but I see a batch “just for us” happening in the near future. Great stuff! I feel sad for you just recently acquiring this recipe. I have been making it for 50 years now. Same recipe. It’s all over the Internet. Happy you have it now!